Ask a kid if they like trampolines and their eyes are sure to light up with joy, but how can all the fun go wrong? In a number of ways, thanks to the unavoidable laws of physics. Dr. Keith Alexander, an associate professor of engineering at Canterbury University, New Zealand, felt there had to be a safer way to enjoy the trampoline, so he began working in his garage. His clever Springfree Trampoline moves the frame below the jumping surface, creates a soft edge to the mat, and surrounds the whole thing with tensioned, UV-resistant netting that bounces users back to the center if they go off-kilter. Keeping with its mission to help automakers meet stringent fuel economy requirements, the Steel Market Development Institute's (SMDI) Automotive Applications Council unveiled the results of its lightweight steel twist beam study on Dec. 4, 2013. A team of Columbia University Engineering researchers has taken advantage of graphene's special properties -- its mechanical strength and electrical conduction -- and created a nano-mechanical system that can create FM signals, in effect the world's smallest FM radio transmitter. A faster, more precise way to create cockpit enclosures may end up saving the F-35 Lightning II program a significant amount in manufacturing costs. When one of Intech Corp.'s customers wanted to introduce a new machine for corrugating paper products, they came to the gear design and manufacturing specialists with a critical dilemma. How could they maintain precise timing between two shafts with corrugating steel teeth to prevent them from smashing into each other? Intech developed a novel and effective backlash-free, low-inertia gear design. Micro Plastics has added a new line to their inventory of 250 million parts! The Phillips Pan Machine Screws are molded in tough, resilient, and corrosion-resistant Nylon 6/6 material. Thread sizes included are: 4-40, 6-32, 8-32, 10-32, 1/4-20, and 1/4-28. Available in 25 standard lengths ranging from 3/32 in. up to 3 in., Micro Plastics also offers an extensive line of machine screws, including head styles such as Binder, Binder Combination, Fillister, Hex, Pan, Round, Socket, Flat, Oval, and Thumb Screws, as well as Studs, Grubs, and Flat Head Wing Screws. Lexium MDrive integrated motors from Schneider Electric Motion USA are now available in an even smaller size with the release of NEMA 17 motor products, completing the premium brand MDrive update that already includes NEMA 23 and 34 motors. The ultra-compact and robust NEMA 17 integrated motor product is available in four communication versions for ease of interface with a wide range of motion applications. 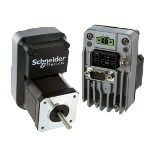 Lexium MDrive LMD42 products integrate a high-torque NEMA 17 stepper motor with a 12- to 48-VDC drive, controller and I/O, and an internal encoder with closed-loop performance feature. ANSYS 15.0 provides new, unique capabilities and enhancements that offer the most advanced approach to guide and optimize product designs. Highlights for structures in this release include giving users greater insight into simulating composites. 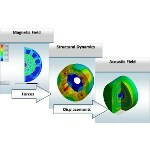 Enhancements to the fluids portfolio include the capability for studying turbomachinery flow paths with greater fidelity than ever, while in electromagnetics ANSYS 15.0 offers the most comprehensive electric motor design process. This release enhances ANSYS' industry-leading pre-processing capabilities, enabling users to quickly and accurately mesh the widest range of model size and complexity regardless of type of physics simulated. It was a result so unexpected that MIT researchers initially thought it must be a mistake: Under certain conditions, putting a cracked piece of metal under tension -- that is, exerting a force that would be expected to pull it apart -- has the reverse effect, causing the crack to close and its edges to fuse together. For Jaguar, competing across the broad swathe of "Snowbelt" states in North America meant equipping its XJ and XF luxury sedans with four-wheel drive -- something totally new. Time was short, so international automotive design expert Ricardo was summoned to help. Jesse Crosse reports. A single layer of tin atoms could be the world's first material to conduct electricity with 100 percent efficiency at the temperatures that computer chips operate, according to a team of theoretical physicists led by researchers from the U.S. Department of Energy's SLAC National Accelerator Laboratory and Stanford University. 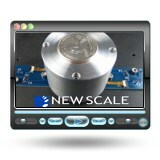 At 44 mm x 44 mm x 36 mm, the M3-R rotary micro drive from New Scale Technologies is smaller than -- and can replace -- a servo drive. 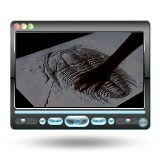 It also offers higher position resolution. The M3-R rotary micro drive has no measurable jitter, holds position without power, and generates no magnetic fields. It exhibits excellent velocity, acceleration, and repeatability characteristics. Learn more about this awesome little piezoelectric drive. By altering the friction encountered as a person's fingertip glides across a touchscreen surface, a new algorithm by Disney Research, Pittsburgh, can create a perception of a 3D bump on a touch surface without having to physically move the surface. The method can be used to simulate the feel of a wide variety of objects and textures. The algorithm is based on a discovery that when a person slides a finger over a real physical bump, the person perceives the bump largely because lateral friction forces stretch and compress skin on the sliding finger. The Disney researchers used electrovibration to modulate the friction between the sliding finger and the touch surface with electrostatic forces. The algorithm dynamically modulates the frictional forces on a sliding finger so that they match the tactile properties of the visual content displayed on the touch screen along the finger's path.